Fresh peaches combined with a cream-based cobbler topping, with fresh whipped cream piled on top for a rustic grilled dessert! Come on now. 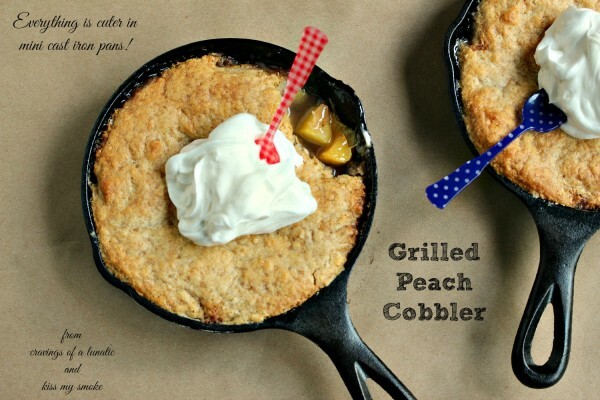 How flipping cute are these Grilled Peach Cobblers in Mini Cast Iron Pans? With a mound of whipped cream for you fans! Okay, okay, I’ll stop. Before I embarrass myself. 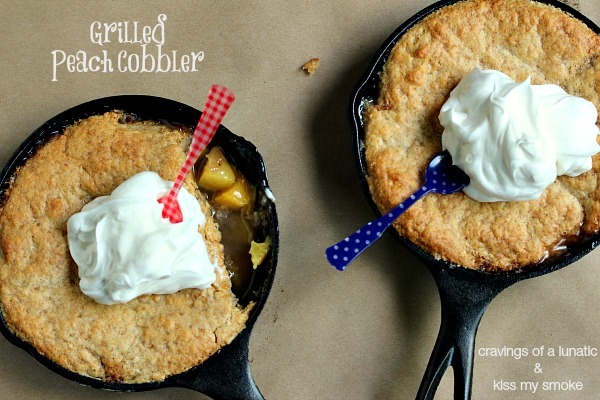 These cutie patootie, itty, bitty, adorable cobblers were made as part of 100% Canadian Milk’s Grill Night Challenge. It’s a friendly competition amongst Canucks. 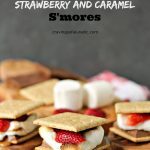 Each month there are 3 bloggers who submit recipes for a specific theme. Then the public gets to vote on which recipe they dig the most. Which, quite frankly, should be mine. 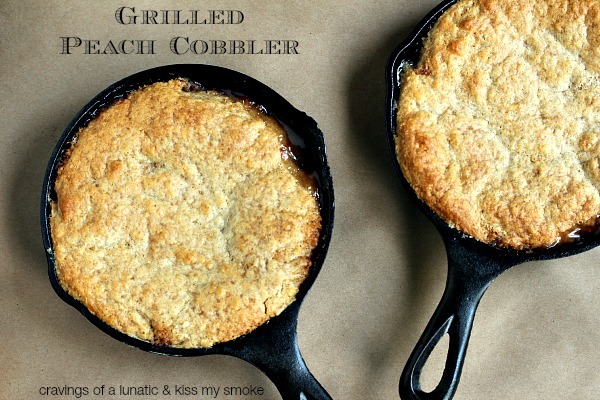 I mean I made itty, bitty, tiny, little, adorable mini peach cobblers….on the grill. I cannot even begin to describe how good these cute cobblers are. 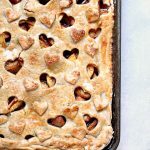 Peach cobbler is my favourite dessert in the summer. I can never get enough of it. Making it on my grill to keep the house cool is just a huge perk. Dessert and a cool house, yeppers, that’s using your noggin. Print the recipe. Make the recipe. Then shove the recipe in your piehole at rapid speed before anyone else shows up. Peel and slice the peaches, cut into cubes and place in a large bowl. Sprinkle sugar, brown sugar, corn starch, salt, cinnamon and nutmeg into the bowl and stir until well combined. Juice the lemon over the ingredients and stir again. Pour the fruit mixture into properly greased cast iron pans. Set aside. Combine the flour and butter into a medium sized bowl. Use a pastry cutter to work the butter into the flour. You can also use a fork. You want to keep pressing and working it until it resembles fine crumbs. Now add the brown sugar, baking soda and the salt. Mix well. Add the heavy cream and mix until smooth. It almost looks like pancake batter. 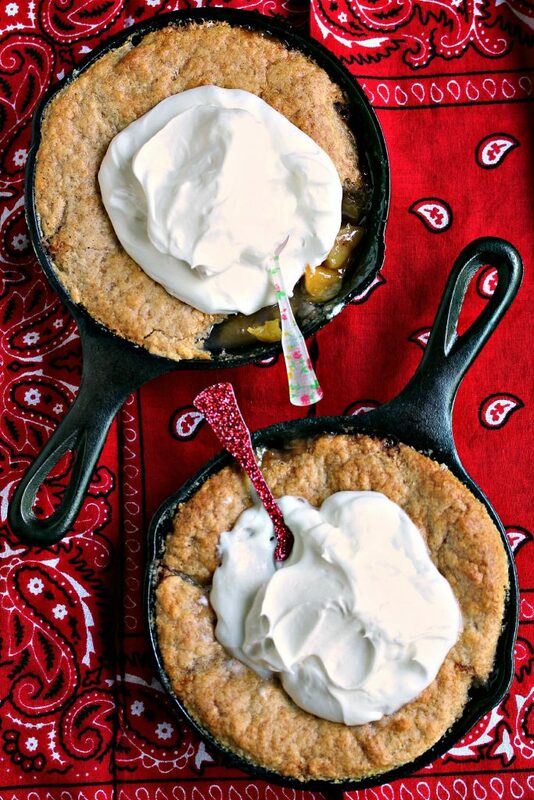 You can cut back to ½ cup heavy cream if you want a more crumbly cobbler topping. I went for a puffy version. Now take spoonfuls of the dough and drop them randomly over the peach mixture. You can sprinkle more cinnamon and nutmeg over top if you like. I typically always add more. Place on indirect heat on your grill. What this means is you want half your burners on and half your burners off. Place the cobblers over top of the burners that are off. This will bake the cobblers just like an oven does without burning them. Do not put them over direct heat. The bottom will burn. Cook for about 30 to 40 minutes, depending on how accurate your grill is. They are done when the mixture starts to bubble up the sides and the top is golden brown. Make sure your bowl and whisk are cold, I pop mine in the freezer for about 15 to 30 minutes before mixing my whipped cream. Combine all the ingredients in a stand mixer bowl and whisk on low until it starts to come together a bit, then amp up the speed to high. Allow it to mix until the cream is fluffy. Keep cold until needed. You can allow the cobblers to cool or serve them warm. One 6 inch skillet is enough for 2 people. I made two 6 inch skillets so this served 4. 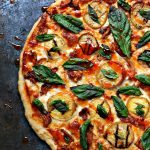 You can also cook this in one 12 inch skillet. It will also serve 4. 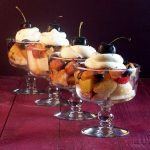 Serve peach cobber with lots of whipping cream, or ice cream. Or go all out and have both. What is your favourite dessert to make on the grill? Check out my recipe index for more amazing recipes. 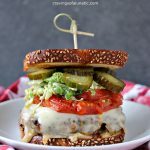 You can find more grilling recipes and tons of summer recipes. I can’t get that song out of my head – thanks Kim! These are beyond adorable! Heading over to vote now! Mini food is much more appealing, it’s just too cute to resist! 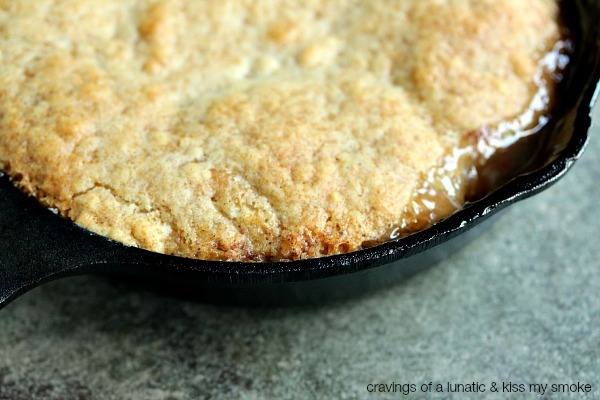 I love cobblers, crisps, crumbles, whatever you wanna call ’em…I just wanna eat ’em! It really is. I cannot help myself, I live for tiny desserts. I have the same little skillets.. they are so cute! I love the individual little cobblers. What’s not to like about peach anything… YUM! I love mine, I actually want to get a few more. They’re too adorable for words. I count down the days between peach seasons. I freaking love peaches. Voted!! You were embarrassed by the song but I just wanted to get up and shake my booty. 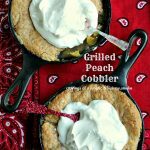 Peach cobbler is the only kind of cobbler for me. This one looks darn delicious. Ha, go for it Emily. I love cobbler. 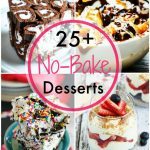 It’s my go to dessert for summer.